BBA is a three year full time course which aims at building future professionals rather than mere degree holders. It aims at developing a student’s intellectual ability, executive personality and managerial skills through an appropriate blending of business and general education. BBA is a professional undergraduate degree course which largely deals with the studies of management level. The BBA degree program aims to equip the students with the necessary knowledge, skills and self-confidence to assist in effective and successful management, within constantly changing and highly competitive national and international business environments. This course is developed to make students comfortable with the management techniques that prevail in the corporate world. Students have option of getting employed in Industry after 18 months of regular Studies by Placement cell. The Structure of the program is so designed that it will help the students imbibe holistic education and requisite skills. This program is designed for the students who wish to join as junior executive in industry, business and who wish to seek entrepreneurial or self-employment positions.  This program also lays a strong foundation for students who wish to pursue Higher education from reputed Business Schools in India or Abroad.Gurgaon being a Business hub, students gain firsthand knowledge of different business environments and cultures through studying, living and interacting with Corporations. To provide adequate basic understanding about Management concepts and an understanding of the corporate culture. To help the students earn management skills and communication skills effectively. To provide a concentrated focus of study and to make the students capable to comprehend nuances and tactics of business. To assist the students in understanding and developing the unique leadership qualities required for successfully managing business functions, an organizational unit or an enterprise.